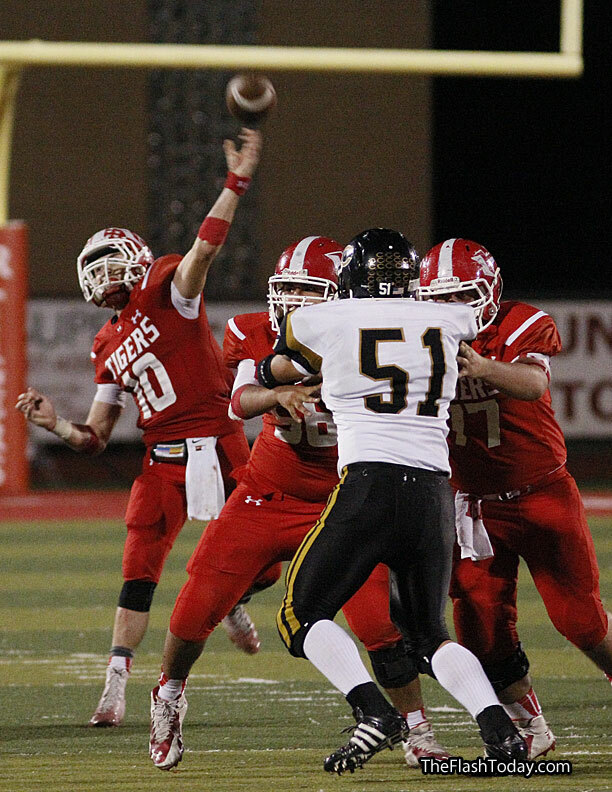 (TheFlashToday) — Hico quarterback Hunter Wood is the District MVP in 7-2A Division I. Wood wasn’t the only Tiger to take a superlative honor in the vote of league head coaches. Senior linebacker Duane Hyles shared Defensive MVP honors, and Parker Wood, a sophomore wide receiver and defensive back, was named District Newcomer of the Year. Hunter and Parker Wood are brothers, and are the sons of Hico head coach Keith Wood. Hyles, also a running back, earned first-team honors on offense, along with linemen Johnny Serratt and Dalton Sikes, fullback Dakota Mullins and tight end Lane Turner. Hico had six first-team defense selections in Serratt and John Hartgraves in the trenches, Turner and David Skinner at end, Mullins at linebacker and Mason Warren in the defensive backfield. OL: Johnny Serratt, Sr.; Dalton Sikes, Sr.
DL: Johnny Serratt, Sr., John Hartgraves, Sr.
DE: Lane Turner, Sr.; David Skinner, Jr.
OL: John Hartgraves, Sr.; Garrett Kale, Sr.; John Luna, So.